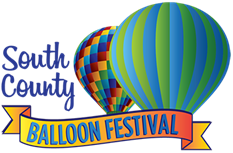 2017 South County Balloon Festival- Volunteer Sign-up! It's that time again! The 2017 South County Balloon Festival is just around the corner and we need your help making it the most successful year ever! Click the “Volunteer Signup” button to view the list of all of the volunteer opportunities available over the weekend of the festival. While jobs are available for all, Members are encouraged to scroll to the second category listed as "Volunteer Opportunities for Rotary Members Only" as these will need to be filled from within our club. The ClubRunner Volunteer Module makes sign up quick and easy. The list is divided into two catagories; Community and Rotary Member Opportunities. The first category is listed as "Community Volunteer Opportunities" and is divided by day. The jobs are open to both Rotarians and non-Rotarians. The second category is listed as "Volunteer Opportunities for Rotary Members Only". These are positions that require special skills, are supervisory in nature or need to be filled by Rotarians for safety reasons. PLEASE CHOOSE FROM THESE JOBS FIRST. If you are unable or unwilling to fill a position from this list, you may then choose from the "Community" opportunity listings. You may also contact me at twalterballoonfest@gmail.com with any questions. Please sign up for as many openings as possible, as soon as possible, so we can ensure that we have all of the coverage we need for a successful and safe event. Don't forget to recruit family and friends as well! Click on Sign Up to view available slots and book yourself directly online.